There's good news for anyone who didn't get to use their KB Toys gift cards before the retailer stopped accepting them on January 11. Toys R Us announced this morning that consumers can turn in KB Toys gift cards at its stores for 15% off one item. The "Gift Card Exchange Program" will run through the end of January, giving you plenty of time to cash in your previously worthless KB Toys gift cards. On top this promotion, Toys R Us also has a few other programs aimed at saving you money on toy and diaper purchases. 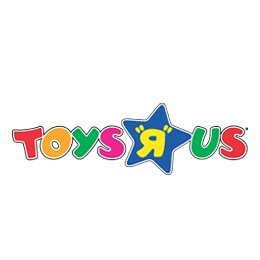 You can join the Rewards R Us program which provides members with special discounts and rewards for qualifying purchases at Toys R Us. Additionally, you can sign your child up for Geoffrey's Birthday Club which entitles them to a gift, birthday call and more on their special day. There are a few exclusions to the 15% off offer, including video game hardware, Bugaboo products, Apple iPod products and a few other items. But for the most part, consumers are free to use the coupon on anything their heart desires. Kudos to Toys R Us for limiting the fine print on this program. Unfortunately, there won't always be a Toys R Us to step in and help out consumers when companies fail. Many retailers failed in the last quarter of 2008 and even with government bailouts; tough economic times may spell the demise for many more. With that in mind you should heed the advice of fellow WalletPop writer Vanessa Richardson to use your gift card ASAP!